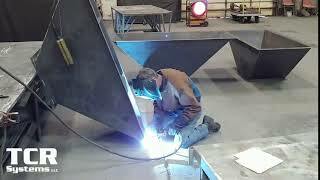 TCR Systems in Decatur, Illinois has certified welders of any metal, including stainless, carbon, and aluminum. Learn more at www.tcrsystems.net. Shop Fabrication - TCR Systems LLC TCR Systems in Decatur, Illinois has certified welders of any metal, including stainless, carbon, and aluminum. Learn more at www.tcrsystems.net. 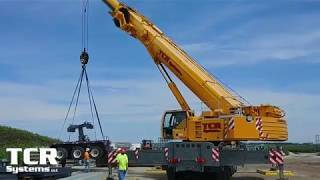 Moving Rear Dolly of Crane - TCR Systems LLC TCR Systems moving rear dolly of crane to a storage site. Learn more at www.tcrsystems.net. 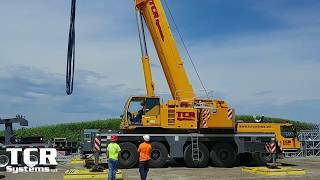 Crane Setup at New Facility Build - TCR Systems LLC TCR Systems setting up a crane at a new facility build. Learn more at www.tcrsystems.net. 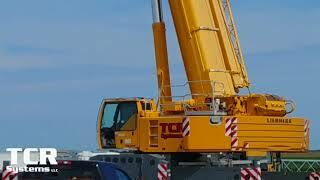 Liebherr 220-Ton Crane - TCR Systems LLC Boom extension on "GOLIATH", TCR System's Liebherr 220-Ton Crane. Learn more at www.tcrsystems.net. Nighttime Parking Lot Surveillance TCR Systems, located in Decatur, Illinois, offers an array of digitally-networked Surveillance Security solutions that are easily-managed and fully-accessible from anywhere – home, office, tablet, and your smartphone. 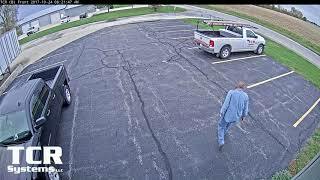 Call us at 217-877-5622 or visit tcrsystems.net for more information on how to secure your facility. Nighttime & Early Morning Parking Lot Surveillance TCR Systems, located in Decatur, Illinois, offers an array of digitally-networked Surveillance Security solutions that are easily-managed and fully-accessible from anywhere – home, office, tablet, and your smartphone. Call us at 217-877-5622 or visit tcrsystems.net for more information on how to secure your facility. 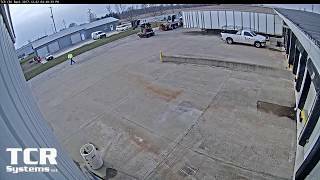 Indoor Video Surveillance Works in the Dark and Light TCR Systems, located in Decatur, Illinois, offers an array of digitally-networked Surveillance Security solutions that are easily-managed and fully-accessible from anywhere – home, office, tablet, and your smartphone. Call us at 217-877-5622 or visit tcrsystems.net for more information on how to secure your facility. Day & Night Parking Lot Surveillance TCR Systems, located in Decatur, Illinois, offers an array of digitally-networked Surveillance Security solutions that are easily-managed and fully-accessible from anywhere – home, office, tablet, and your smartphone. 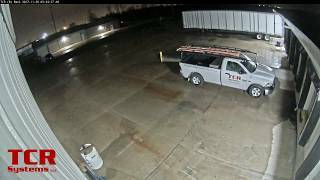 Call us at 217-877-5622 or visit tcrsystems.net for more information on how to secure your facility.